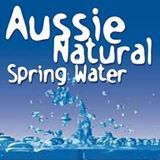 Aussie Natural > Blog > Is Your Cold Water Cooler Dispenser Safe? Is Your Cold Water Cooler Dispenser Safe? Most health conscious people are aware of the importance of high quality drinking water and the potentially harmful effects of water contaminants. Many consumers have opted for using bottled water or a filter cooler. However, using a cold water cooler dispenser may not automatically be the safest option. Your hot and cold water cooler dispenser can develop some significant issues that could be compromising the health of you and your family. While a cold water cooler dispenser will not contain the excess minerals, metals and other contaminants found in tap water, there is still a potential danger of bacteria. Bacteria can grow rapidly in situations where there is a high level of moisture. It can take days to consume a fifteen litre bottle, so there is the potential for bacteria to develop. Since bottled water does not contain chlorine or any disinfectant, it can be susceptible to contamination. In a 2010 Consumer Focus Group study, the research team found that 26% of the samples taken from water fountains and coolers were contaminated. During the study 87 or the water samples taken showed the presence of E-Coli. This bacteria is found in the gastrointestinal tracts of warm blooded mammals. There were also Pseudomonas and Staphylococcus aureus present in the samples. This highlights the potential danger and the fact that you proper maintenance of your hot and cold water cooler dispenser is vital to health and wellbeing. 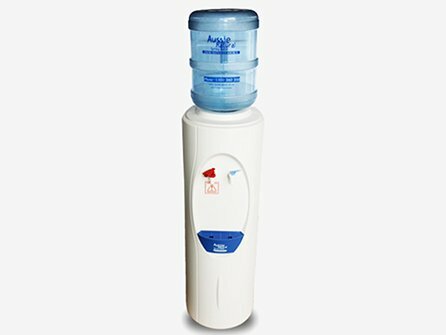 Providing you follow a basic sanitation routine, you should not experience any issues with your cold water cooler dispenser. Most experts recommend that your cooler is sanitised three to four times a year. Once a week, the dispensing taps should be sprayed with a sanitising agent. The drip tray and exterior of the water cooler should also be regularly cleaned. Additionally, you should refrain from refilling your bottles from a tap. The bottles should be stored in a clean, cool environment, away from direct light. Is your dispenser plumbed into your mains supply? To ensure that your cooler dispenser is operating clearly and safe to use, it should be checked on a regular basis by a trained water professional. 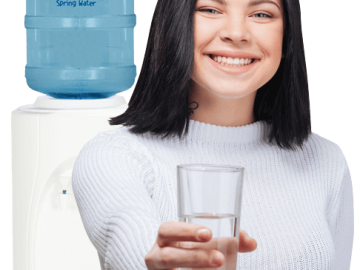 This servicing should also include replacing the filters, at least, every six months which is included in Aussie Natural Filtration service agreements. Water is vital to health and wellbeing, so you need to be confident that your supply is clean and safe. 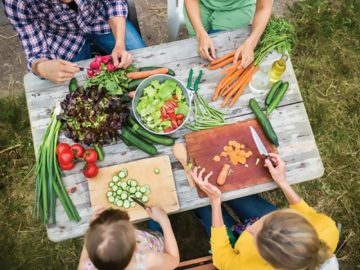 Although many forms of bacteria are harmless to health, there are some strains that can have serious health implications. Therefore, it is well worth taking the time to ensure that your cooler is properly cared for and maintained, so it remains safe to use. If you are considering a cold water cooler dispenser, speak to us. 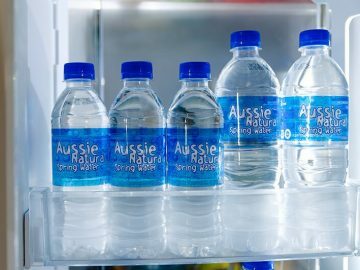 At Aussie Natural, we have a wide range of cooler options including hot and cold water cooler dispenser models. Our team would be delighted to discuss your requirements and help you to determine which model is best suited to your particular needs. We would also be happy to answer any of your water queries or questions.